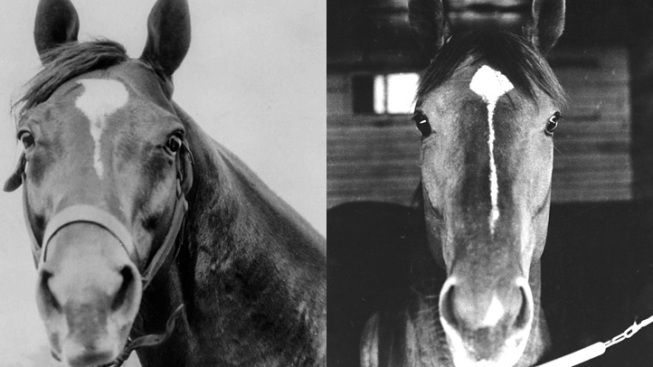 Man o' War, left, won 20 of 21 races, often carrying extra weight, while Secretariat, right, won all three Triple Crown races in record time. For more than 50 years Man o' War owned the unofficial title of Horse of the Century. "Then Secretariat happened," says Dorothy Ours, author of "Man o' War - A Legend Like Lightning" and a former historian at the National Museum of Racing and Hall of Fame. "And the debate started, well this might be the best horse since Man o' War--maybe he's better than Man o' War." Forty years after that spring of 1973, when Secretariat ran roughshod over the competition, the debate rages on. Man 'o War won 20 of 21 races, including the 1920 Preakness and Belmont Stakes. He likely would've won the Triple Crown, but his owner didn’t care for the Kentucky Derby's distance or time of year, and so Man 'o War skipped the Derby. It seems odd now, but in 1920 the Triple Crown wasn't really significant, and the Derby was not yet the Crown jewel. Reading accounts of Man o' War's one loss, in the 1919 Sanford Memorial Stakes, it seems even that race was a testament to his greatness. The defeat came in the era before the use of starting gates. Man o' War suffered a terrible start and fell back almost four lengths at the outset, but still managed to close most of the gap. The aptly named Upset won by a half-length. "There was scarcely a witness to this race who did not believe after it was all over that Man o' War would have walked home with anything like a fair chance," according to The Times. Secretariat won all three Triple Crown races in record times that still stand today. But his overall record is somewhat ordinary -- he won 16 of 21 races, finished second three times, third once and fourth once. Those five loses are the biggest knock against his candidacy. "Every time Secretariat seemed immortal, he would lose," said racing historian Ed Bowen with a laugh. Even in death, Secretariat was unparalleled, as an autopsy revealed that he had a heart two and a half times the size of a normal horse. In trying to determine who was "The Horse of the Century," the casual racing fan might reasonably point to Secretariat's Triple Crown records as proof of his superiority. It's not, according to Bowen. "Time is a very, very tricky way to judge a horse," said Bowen. "The final time of a race is a function of many things, including track conditions, the pace, and how fast the horse is taking off early on." According to Bowen, a review of the time records at tracks across America would include dozens of no-name horses. Just this year, the American record at a mile and a half on grass has fallen twice with nary a notice in the mainstream press, Bowen said. Ours notes a variety of X factors that could contribute to the differences in the times posted by Man o' War and Secretariat. Improvements in drainage technology and the practice of hosing down the dirt have made racetracks faster; Man o' War ran on shoes made of steel versus Secretariat's lightweight aluminum; and the Man o' War typically carried extra weight to give his opponents a chance of winning. In 1999, both Blood Horse magazine and the Associated Press convened panels of experts to vote on who was the best thoroughbred of the past 100 years, and Man o' War came out on top in both polls. But the Blood Horse poll was somewhat controversial, as one voter listed Secretariat 14th on his ballot. ESPN, meanwhile, listed Secretariat as the 35th greatest athlete of the 20th century, with Man o' War sitting at 84. So maybe it's a coin toss for Horse of the Century? Not quite. Lost in the debate of Man o' War vs. Secretariat is 1948 Triple Crown winner Citation, the sport's first million-dollar winner, and one of only three horses ever to win 16 consecutive major stakes races. After starting his career with 28 wins in 30 races, Citation's owners set their sights on the million-dollar mark, running him well past his prime. 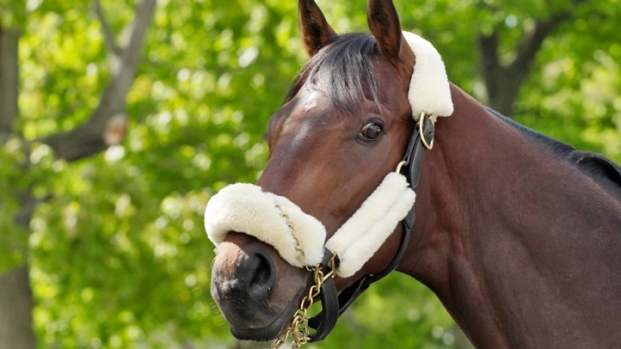 He went 4-8-2 over his last 15 races, taking much of the shine of a brilliant career. Citation made it to a million, but lost quite a bit of his luster among the general public. But real race fans remember him fondly -- Bowen adds that people who saw Citation said he was better than Man o' War, they "felt there never could have been a better horse." "If I were in a situation where I had to vote in one of those polls, I would vote for Man o' War, but not with some great convection," said Bowen. "And depending on who I'm having lunch with, I might go Citation second, and other days I might go Secretariat second." It's likely that horse racing fans, like most people, favor those whom they saw with their own eyes when discussing the greatest of all time -- your father might swear that Mickey Mantle was the greatest Yankee ever, his father will say it was Babe Ruth and you know it's Jeter. If the pattern holds, this race is Secretariat's to win, but it's not over yet.